The Challenger Learning Center of Kentucky is proud to offer party experiences for ages 5 and up! 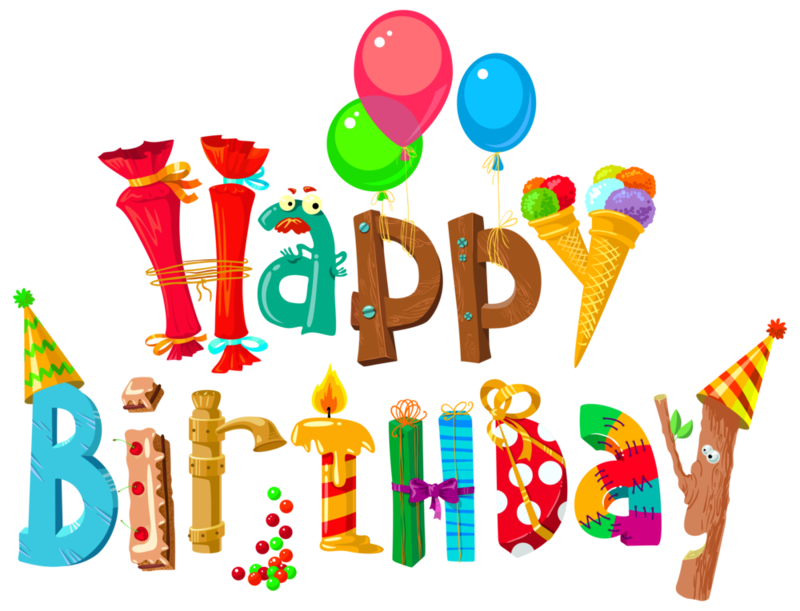 Come celebrate your birthday with us and have a blast! It’s your party, so do what you want! 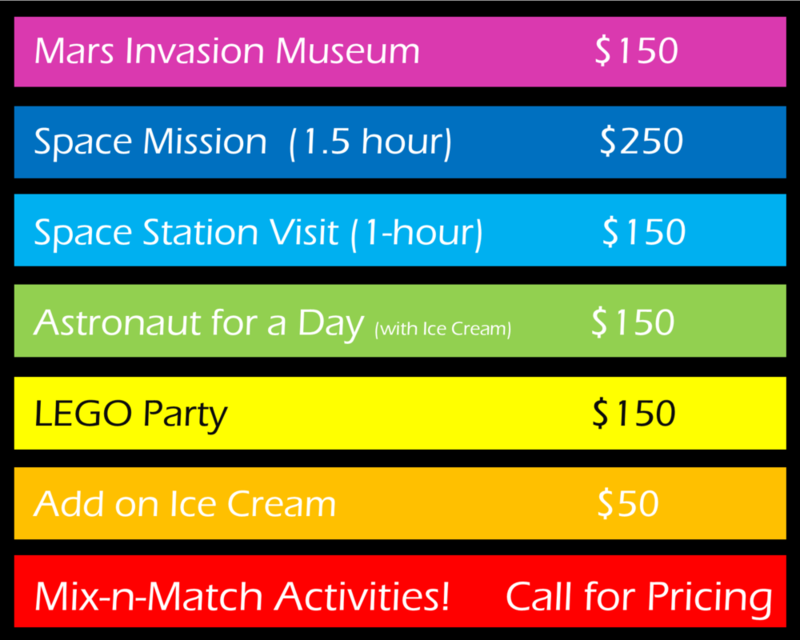 The CLCKY offers a variety of options for your party, from a LEGO bash to a full-on mission to outer space! Check out out different party options below! Come Explore Mars for your Birthday! 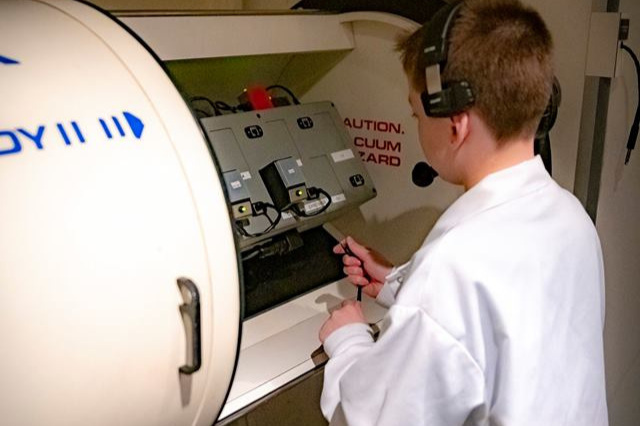 In Mars Invasion, you’ll learn all about Mars while you check out cool exhibits using Virtual Reality, our Flight Simulator, Magnetic Fluids, and more! Do you have the Right Stuff? Find out at Challenger with Astronaut for a Day! Find out how Astronauts live and work then try it for yourself. Before you go, we will also use liquid nitrogen to make “Astronaut Ice Cream” for everyone! Our most in-depth party option! Take control as we complete a full simulated space mission! Give orders from mission control, do critical experiments and build a probe in space station, deal with space emergencies and more! Are you loco for LEGO? So are we! Come have a party where it’s all about building! We will have building competitions, speed challenges, and more LEGOs than you can count! Twice a Year, we put out the call for the best and brightest to see who reigns as the Trivia masters! Held at a rotation of local restaurants, teams of 6 compete to earn prizes and (more importantly) bragging rights! With over 100 questions ranging from Ancient History to TV sitcoms, you have to bring your A-game if you want to compete! Have you ever wanted to know more about how your favorite brew is made? Have you considered home-brewing but don’t know where to start? If so The Science of Beer - Presented by the CLCKY is for you! In this multi-part event, you will learn about some of the science that goes into making beer from LAGERS brewmasters. You will even make your own brew from start to finish!